Is Inbox Dollars a Legit Money-making tool? You have landed at the right place, here I will be answering your question: Is Inbox Dollars a legit platform for taking surveys and other stuff to make a side income? How is it different from other survey platforms and get-paid-to sites, that you should or should not sign up with them? Do they pay out on time? What conditions are there for paying out? Do they close your account for no reason like many survey platforms do? What other freebies and fun things are there to do on the platform? 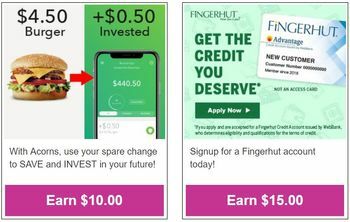 Inbox Dollars is a get-paid-to site, where you earn a little money by taking part in some activities, like completing surveys, taking up offers like some subscription, redeeming coupons, getting some cash back on your shopping, etc. It is a legitimate site, established and trustworthy, with mostly positive reviews. Its main drawbacks are high minimum cash out amount of $30, and processing fee of $3. The rates they pay for surveys are also on the low side, compared to other survey platforms. If you just want a little extra cash to buy that beer after work, then go for it. 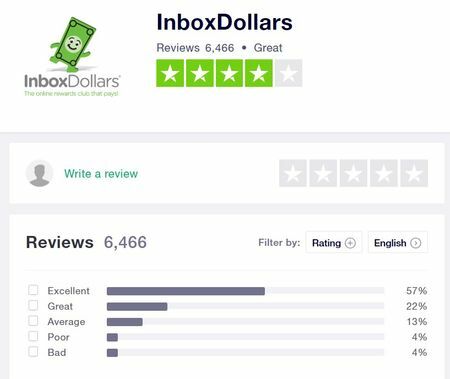 Read on for the detailed review of Inbox Dollars, and why I do recommend it for the beer or coffee money. How does Inbox Dollars work? Inbox Dollars is basically a get-paid-to site, where you earn cash on a number of activities that you can take part in on their platform. The main way to earn, among other things, is completing surveys. As companies value consumers’ views, so they will work with these survey platforms to reach out to potential customers and hear their views on their products and stuff. Signing up is easy. Just fill in your details, and make sure you go back to your email inbox to verify your email account. Just by doing this, you get $5! That’s really cool. And now you can get started by going into the system to explore, and find something that you like to do. Taking surveys is the main way to earn, but as with many other survey platforms, expect to sometimes run into instances where you get disqualified halfway through the survey. Or spending lots of time on pre-qualification surveys only to find out you do not qualify eventually. This happens a lot everywhere, it’s a common occurrence on any survey platform. So it is a huge potential for a total waste of your time. The earnings for taking surveys in Inbox Dollars go at a really low rate. Each survey can likely earn you between $0.10 to $2.00, depending on the time required. This is really not very efficient use of your time, unless you are otherwise idling the time away, then go ahead and make these few dollars which is better than nothing. Apply for subscriptions of certain services, or sign up for some offers, to earn cash. But do be mindful to read all the terms and conditions of each offer that you are tempted to sign up. Some may require a shipping fee to send you a sample product to try out. Some may charge you a subscription fee after the first two weeks free trial, so make sure you stay on top of things, and cancel any subscription that you do not intend to keep beyond the trial period. This is a great way to get some cash back on your online shopping that you will be doing anyway. They partner with some big brands too, like Walmart, Kohl’s, Gap, etc. But you do have to start your shopping from within Inbox Dollars if you want to make any cash back. There is also a section for Groupon offers, where you get cash back when you buy Groupon vouchers. These are the other ways that you can earn by just mindlessly carrying out these activities. But it is definitely not going to earn you much more than a dollar a day. So I will not go into the details of each activity here, you can go try them out for yourself, and decide if it is worth your time at all. This is something worth doing, if you are already an Inbox Dollars member. Just send your referral link to people around you, and get them to join too. Then for the rest of your life, whatever earnings they make on this platform, you earn 10% of it. So this is like a tiny trickle of passive income stream, because you are earning something for doing absolutely nothing. There are some negative aspects to the payment terms of Inbox Dollars that I need to point out. High minimum cash out amount of $30 makes it difficult and takes a long time to accumulate your earnings to reach this amount. Especially if you are not on the platform regularly, actively trying to earn, then it can take more than a month. This really lowers the motivation for people to use this platform. There is a processing fee of $3 each time you request for a payout, which to me is very expensive. Many get-paid-to sites actually let you cash out without charging any fee. There are 3 ways to get paid: Inbox Dollars eCard (which allows you to shop at specific retailers online, like Target, Kohl’s, and many more), prepaid Visa card (this is an electronic card, if you want a physical card, it requires an additional $3), and check (which can take up to 14 days to receive). There is no option for PayPal, which is a shame, because many other get-paid-to sites have that, which is the most convenient and versatile way to receive payment. Inbox Dollars has had a great reputation so far, with very little to none of the complaints common among survey platforms, like getting accounts shut down for no apparent reason, dishonest estimates of time required to complete surveys, and so on. You can have fun while earning a little money, and take it as a form of relaxation. For instance, playing games on Inbox Dollars can actually earn you some game tokens, or spend a little bit of cash to get more tokens than they are worth. Sounds like not a bad deal if you were going to spend your time playing games anyway. Watching advertisements can also be a form of relaxation, instead of sitting in front of the TV which is also a mindless activity, you might as well just let the ads run in the background of your computer, and earn a few cents while you are at it. Survey platforms and get-paid-to sites provide a really easy way to make some coffee money. Provided you are not faced with the frustration of being disqualified everytime you try to do the pre-qualification section of surveys. But this is already much better than some platforms which have a dishonest habit of kicking people out of the system just as they are finishing up their last question in the actual survey! That would be much more time wasted. Compared to most other survey sites, Inbox Dollars pays peanuts, to say the least. There are complaints of people taking more than a month to meet the bare minimum of $30 to cash out. I am sure there are much more meaningful things to occupy your precious time with. This is a real issue, the cash out minimum of $30 is difficult to meet. And the $3 processing fee each time you want to cash out, that’s really an eyesore. They take away 10% of your earnings just like that. To me this is not very fair, considering the earnings are already so meager. Getting paid through PayPal is essentially getting hard cash that you have the flexibility of doing anything you want with it. Not having this option is a shame, because other payment options are limiting in some way or another. For eCard, you are limited to the retailers who take part in this payment scheme. For electronic visa, there may be extra charges when you use it to buy stuff, or a minimum amount before you can use it for purchase. For check, it takes ages to arrive, and then you have to go through the hassle of banking it in physically. Your information and profile will very likely be passed on to companies that buy lists from Inbox Dollars. So you should expect to get a lot more junk mail in your email inbox once you sign up with these platforms and survey sites. Is Inbox Dollars a legit survey platform? 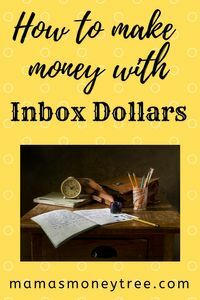 To finally answer this: Is Inbox Dollars a legit way to earn some extra income? Yes, definitely. It is a safe and legit way to do surveys online and make some extra cash, but it can never replace your full time job. If you are looking to earn a few extra dollars, then Inbox Dollars will serve your need. However, if you want to build something that can eventually replace your full time job, allowing you the flexibility to work anytime and anywhere you wish, then Inbox Dollars is far from the answer. To build a full time online income, you start by owning a website. Don’t be scared off, this is in fact the easy part. The training platform that I joined hand held me every step of the way, from setting up my own website, building content on it, getting free traffic to my site, to eventually monetising it. Without this training and community, I will not be where I am today, having the luxury of spending time with my kids while working from home. It has a free starter membership, where you get 2 websites and 10 lessons, absolutely for free. I knew this was the real deal once I tried out these freebies. Go check it out, zero risk involved, as they don’t even need any credit card details. Arbonne Pyramid Selling? Real or rumour?